Kylie Jenner has already revolutionised the makeup world with her lip kits and now it looks like she’s turning her attention to our skincare. She is already a billionaire thanks to her $800m Kylie Cosmetics makeup empire and this is sure to cause her fortune to rise even further. 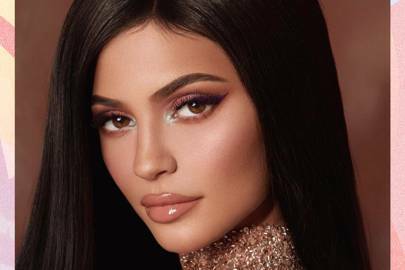 Speculation is rife that we are going to get a Kylie Skincare range after she filed three trademark applications, one for Kylie Skin by Kylie Jenner and two for Kylie Skin. According to Trademark Ninja, her company has filed trademarks for pretty much every product you can think of under the skin care umbrella: moisturisers, cleansers, face scrubs, toners, serums, masks, oils, peels, and face mists, among others. Weirdly “Body powders” is also on the list. Fans are speculating that this means she could be launching a Kylie Skin…spa? Imagine! Would they have endless episodes of Keeping Up With The Kardashians on loop in the waiting room? How Instagram worthy would that be? It’s more likely Kylie is launching an in-store skin care service at American beauty shop Ulta, where her makeup products will be launching in brick-and-mortar locations for Christmas. The website domain www.kylieskin.com was registered on July 2, 2018 so it looks like it will be available online too. The 21-year-old has absolutely flawless skin so there’s no doubt her fans would be on board for any product that helps them achieve similar. Teen Vogue revealed last year that Kylie is very experimental with her skin care products, although she tends toward those with all-natural ingredients. She also likes to change her skincare regime as frequently as she changes her hairstyle but her all-time faves are Nip + Fab Dragon’s Blood Fix Serum, Nip + Fab’s Glycolic Fix Night Pads, Mario Badescu’s Drying Lotion, and Kiehl’s Daily Reviving Concentrate. So perhaps we will see something similar in her new range.